The LEGO Challenge Project continues in the 5th grade. 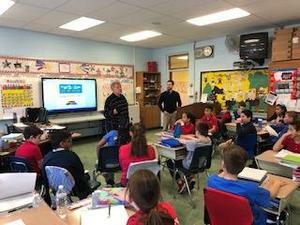 Pictured here are Mrs. Hackel's and Mr. Bonin's 5th grade classes learning an architectural standpoint of blueprint design from Drew Monarque, from DMR (Architectural, Planning, Engineering, Interior, Consulting) Company located in Hasbrouck Heights. This has helped the students understand design and building from the ground floor. Their challenge is to create a structure to solve a problem in the environment. The students will present their LEGO Challenge Project at the end of March. 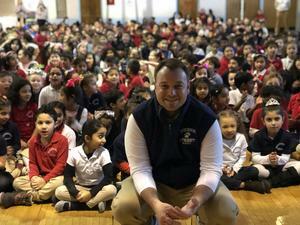 The Math-A-Thon will run through March. The Math-A-Thon will run through March. Donations and prize sheets MUST BE IN BY MARCH 29. Third Grade reads "Because of Winn-Dixie"
The 3rd Grade students finished the heartfelt Novel, “Because of Winn-Dixie”. To wrap up this amazing book, they celebrated with a Book Club Party and ate goodies mentioned in the book. 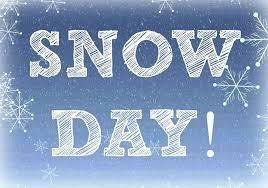 On Thursday, February 21st. 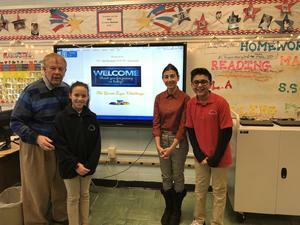 Don Evanson and Amanda Nesheiwat came to speak to Mrs. Hackel's and Mr. Bonin’s 5th Grade students about ideas for the “Great Lego Challenge” here at Huber Street School. They discussed that the themes of the designs should be centered around environmental issues, protection of natural resources, or creating an item that helps society in a way. Stay tuned for the outcome! Mr. Curry will be transferring to the Secaucus High School . Mr. Curry has been a true asset for the students, administration , and faculty here at Huber Street. Good luck, you will be missed! Take a look at all the Seuss-tastic events going on at Huber St. School during Read Across America. Read Across America is an annual reading motivation and awareness program that calls for every child in every community to celebrate reading and the birthday of beloved children's author Dr. Seuss. Thank you to all who participated. Zinburger wants to see our students reading! March is National Reading Month and to motivate students to read they will be rewarding families with a free kids meal if they can complete their challenge of reading four books by the end of March. 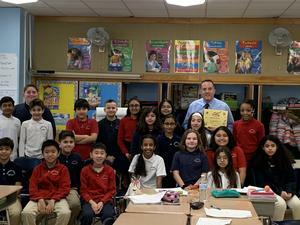 The Huber Street School PTA held their annual Founders’ Day Meeting. The Founders’ Day Meeting is a special time to reflect the value of PTA, as well as honor past members. The First Grade put on a fantastic show for entertainment ! Thank you for all who attended,supported, and honored the Huber St PTA.